Leica has partnered with luxury luggage maker Globe-Trotter to launch a limited edition version of the Leica Q. The Leica Q ‘Globe-Trotter’ is wrapped in specially selected Globe-Trotter leather and has a limited edition serial number engraved on the top cover. It also comes in a specially produced case based on the historic nine-inch Mini Trotter, encased in leather to match the camera body. Inside Leica Q is untouched, featuring the 24MP full-frame sensor and Summilux 28 mm f/1.7 ASPH lens. It can take stunning images in any situation, and can also record HD video. Getting images off the camera, onto your phone, and uploaded to Instagram is easy thanks to Wi-Fi and the Leica Q companion app. 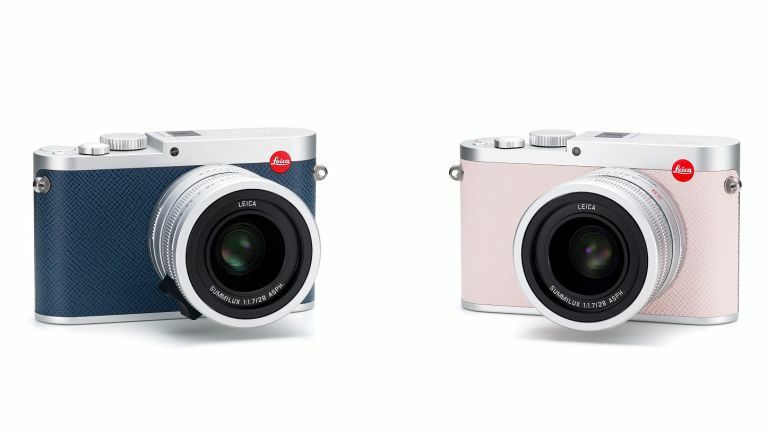 It's one of Leica's most advanced cameras, and easier to use than than the manual focus-only M range of cameras. Both Leica and Globe-Trotter have a reputation for outstanding craftsmanship, so this collaboration is something very special indeed. The Globe-Trotter case is handcrafted in Hertfordshire by highly skilled artisans, and is covered in the same colour Jet leather as the camera body. The inside of the case features dividers for organizing smaller items, a soft microfiber lining, and convenient inside pocket on the case lid which is perfect for carrying everyday items such as a wallet and mobile phone. The case also features a Bordeaux-coloured adjustable shoulder strap that matches the corner leather pieces for an elegant camera travel case and everyday styling typical of Globe-Trotter charm. The Leica Q 'Globe-Trotter is available in either navy or light pink, and is strictly limited to 50 pieces in each colour. It is available now at the Leica stores in Mayfair, City of London, Manchester and selected authorised dealers, and is priced at £5,400.